For most of the year, the weather conditions are ideal for a tropical vacation getaway. The weather is comparable to Southern California, with average high temperatures in the winter months in the mid-seventies, while ranging to the nineties in the summer. 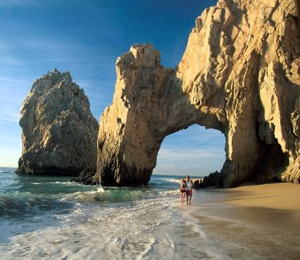 Located on the southern tip of the Baja Peninsula, most days are hot and sunny with relatively low humidity. Light, tropical sea breezes from the Sea of Cortez can occasionally offer a refreshing respite. The tropical latitude, combined with the proximity to the Pacific, provides the perfect conditions for a beach resort vacation, as evidenced by the throngs of smiling visitors that visit Los Cabos every year. Feel free to check our constantly updated weather page, although most of the time, one word can be used to describe the Los Cabos weather: gorgeous.